The heart of DRIME’s ministry can be seen through our teams on many street corners around the world. Teams that use the combination of drama and one-on-one evangelism share the message of Jesus with anyone who will stop and watch. Over the years, DRIME has had the opportunity to minister on various streets across North America, as well as in countries like Brazil, Mexico and Togo. So whether on the streets of Vancouver, in the slums of Kenya, the villages of Benin and Paraguay, or the busy streets of Thailand, DRIME desires to reach the lost for Jesus through a medium that speaks to the heart. We are passionate about the multiplication of ministry! Though local, consistent street ministry is a priority, we want to empower other ministries around the world – teams who we can equip to activelyshare the Gospel on their own street corners, and in their communities and spheres of influence. DRIME hosts training workshops in drama and evangelism to inspire others to launch similar ministries in their communities. Mission teams, youth groups, and individuals with a heart for the lost and for creative evangelism have attended these workshops and have gone on to effectively minister in their own cities. One of the greatest joys of ministry is seeing team members truly catch the vision of the larger organization. 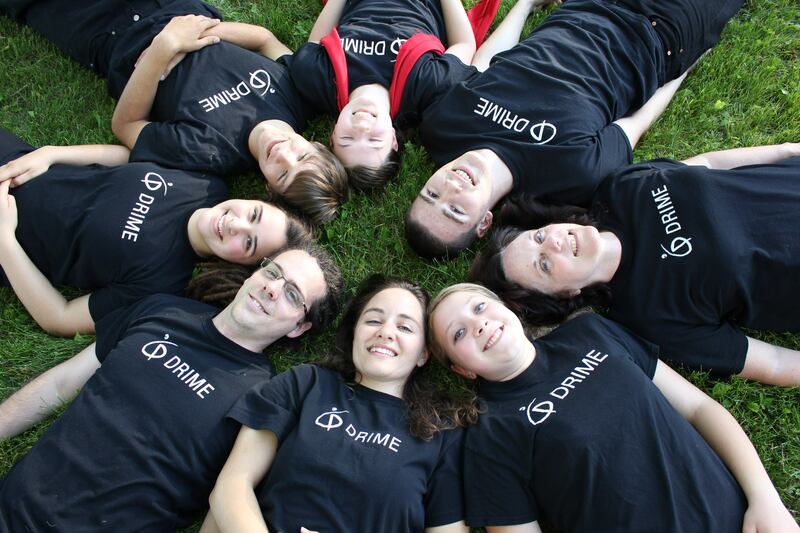 DRIME offers a unique platform for its members to be invested in and to be developed personally, spiritually, and in leadership. Through a variety of experiences, they not only have the chance to reach out and serve others, they have the unique opportunity to be believed in and to be part of something bigger than themselves. Whether it is through leading mission trips, training at workshops, or starting a base and inspiring their team, DRIME members are constantly being empowered and given ownership of various projects.